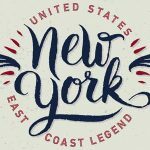 New Online Poker Hall of Fame OPHOF.ORG - Legit or Scam? Home » Poker News » Online Poker News » New Online Poker Hall of Fame OPHOF.ORG – Legit or Scam? New Online Poker Hall of Fame OPHOF.ORG – Legit or Scam? A recently launched website that invites visitors to vote for nominees for an Online Poker Hall of Fame has been questioned about its legitimacy. 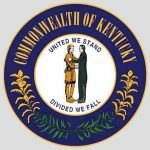 Readers are advised not to register to vote yet and, if you already have, be careful about clicking links in emails or social media posts received from ophof.org. 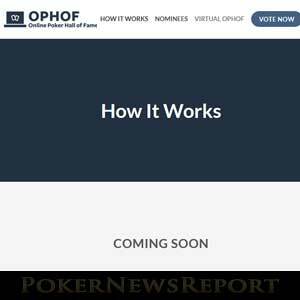 Recently we became aware of a website (ophof.org) that invites visitors to vote for a selection of online poker players for inclusion in an Online Poker Hall of Fame. The website has no information about who is behind the project, as the “About Us” page only carries the logos of PokerNews, PocketFives, WSOP.com, CardPlayer, the Global Poker Index and PokerProLabs – implying these sites are involved. Immediately we had suspicions about this website inasmuch as, if the Global Poker Index was involved, we would have heard about it through Alex Dreyfus´ social media channels. Although there is a small thread about ophof.org in the PocketFives forum, news about the Online Poker Hall of Fame appears nowhere else on the PokerNews, PocketFives, WSOP, CardPlayer or PokerProLabs websites. I don’t trust it. It’s not official and is presented more like a popularity contest. Tried to email them and the messaging system doesn’t work. Chad’s at a clear disadvantage because he won’t be known to most of the new era. My vote Chad, Dwan, & Moorman. So, is the new Online Poker Hall of Fame legit or a scam? We did a WHOIS lookup to find out who owned the site and, despite the registration details being about as sparse as the website itself, we traced it back to Poker Players International – a player management agency with strong affiliate links to the Asian-facing poker site GGPoker. Unfortunately, further digging around was inconclusive. Has the OPHOF Never Heard of GDPR? Unusually, visitors who want to vote for their favourite players have to create an account using an email address and an auto-generated password, or have to sign in via their Twitter, Facebook or Google+ accounts. We have nominated players for the WSOP.com Poker Hall of Fame previously, and have never had to create an account. You simply provide an email address to prevent multiple nominations. For the purposes of this article, we started the account creation process using a “spare” email address. Once you enter an email address, you are sent a reply email (which got caught by our spam filter) inviting you to click on a link to set your password. Despite our concerns about possible malware downloads, we followed the next step of the process and landed on a page showing a very strong auto-generated password. This is the point at which we felt we had taken enough chances and pulled out. It may be the case that the Online Poker Hall of Fame is a project under development and that we may hear more about from official channels in the future. In which case it may be perfectly legit. However, we are no online data security experts, but there are too many spooky things going on for us to trust this website in its current state. Readers are invited to conduct their own investigations and decide for themselves whether ophof.org has been set up as a data collecting and email harvesting site as suggested above, or whether it is a legitimate site. As ever, be careful with the information you share with any website and take appropriate online security precautions – especially when visiting ophof.org!